« Where Is the Best Duck Confit in Paris? 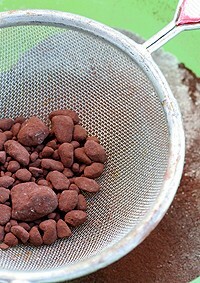 A subject, and and ingredient, comes up frequently when talking about baking and candy making. And that’s about using corn syrup in recipes. I use it judiciously when it will make a discernible difference in a recipe. For those of you who are regular readers of the site and my books, you’ll notice almost all of the time, I rarely use pre-packaged or convenience foods in my baking. So when I do call for something, like corn syrup, it’ll often be in amounts of one teaspoon or a tablespoon. And since most recipes feed eight-to-twelve people, proportionally, that’s a pretty small amount. For example, the recipe for Peanut Butter Cookies with Salted Butter Caramel has one tablespoon of corn syrup added to the caramel, to keep it smooth. Since the recipe makes fifty cookies, that means each cookie contains less than 1/16th of a teaspoon of corn syrup. Yes, people who live in America probably do eat too much corn syrup. (High fructose, or otherwise.) That can be controlled and monitored by using less-packaged foods and reducing the amounts of fast foods that you consume. If you’re worried about corn syrup “hiding” in foods, read labels, cook for yourself as much as possible, and buy locally-produced products from smaller producers who are less-likely to put additives in foods, so you’ll be in control of how much you’re eating. I am a fan of natural and alternative liquid sweeteners, such as agave nectar, maple syrup, honey, rice syrup, and golden syrup, and do have recipes that use them, and encourage folks to give them a try, where applicable. There are a lot of studies, medical reports, advertising, propaganda, and all sorts of information being disseminated from a variety of sources. Evidence does point to high-fructose corn syrup contributing more than other sweeteners, to obesity and other health issues, and you can search around and come to your own conclusions. Since I’m not a doctor, nutritionist, or medical researcher, I’ve provided some links at the end of this post for further reading and you can draw your own conclusions. My personal philosophy about corn syrup consumption: Like other foods that don’t meet a nutritionally-ideal profile, I limit my consumption, but don’t obsess about it. I drink alcohol and coffee. I sometimes eat red meat and cheese, plus chocolate, ice cream, sugar, and marshmallows, all of which have their detractors, too. I walk and ride a bike as much as possible and try to eat a healthy diet that includes a lot of fruits and vegetables, proteins, and whole grains, which offset treating myself to those indulgences. Why do some recipes have corn syrup in them? Corn syrup is an invert sugar, which means that it prevents sugar crystals from forming. Microscopically, sugar has jagged edges and when you melt it, sugar liquefies. But if you keep cooking it to a syrup, those jagged edged-fellas want to re-attach themselves to others. Corn syrup acts as interfering agent, which ‘interfere’ with that process. Honey, agave, and the like, don’t have the same properties. If making a caramel, and a recipe calls for corn syrup, you can substitute a dash of lemon juice or cream of tartar, which performs nearly the same function. Is the corn syrup one buys in the supermarket the same at high-fructose corn syrup? No. According to Harold McGee, high-fructose corn syrup goes through an additional process to make it sweeter than standard corn syrup. Karo, the company that makes most of the corn syrup found on supermarket shelves in America, has come out with Karo Lite, which contains no high-fructose corn syrup. And they have recently reformulated their corn syrups, both light and dark, so they don’t contain high fructose corn syrup. Will corn syrup make you fat? Yes. And so will sugar, as well as other sweeteners. And so will French fries, red meat, chocolate, bread, dried apricots, kale, heavy cream, honey, nuts, beer, wine, maple syrup, martinis, croissants, and tacos, if you eat too much of them. When can another liquid sweetener be substituted for corn syrup in a recipe? Like the aforementioned chocolate sauce, the corn syrup is there for the shine and body. Not to prevent crystallization. So you can use another liquid sweetener if you are not making a recipe, like caramels, where corn syrup, is the best inhibitor of crystallization. If you want to use another liquid sweetener in place of corn syrup, possible substitutes are agave nectar, malt syrup, maple syrup, rice syrup, molasses, sorghum, cane syrup, and Golden syrup. Note that all of these have a particular flavor, some stronger than others (like honey and molasses), so keep that in mind if you want to swap one of them out for corn syrup. I can’t think of any cake recipes that have corn syrup in them, but my Butterscotch-Pecan Cookie Cups uses it to keep the batter smooth and to make sure the cookies will caramelize properly in the oven. In a recipe like that, I would not use another liquid sweetener. When can one not substitute something for the corn syrup called for in a recipe? For candy making, I strongly suggest sticking to the recipe. If a recipe calls for boiling a sugar syrup, unless specified, stick to using corn syrup. Especially ones cooked to a higher temperature. Honey, and the like, tend to burn when cooked down, so care should be taken to avoid that. If the recipe calls for cooking a syrup to a relatively low temperature (below 230F, or 110C), you can experiment with other liquid sweeteners, but I can’t advise in each and every case. You’ll just have to try it and see. If one wants to substitute another liquid sweetener, such as corn syrup, honey, or golden syrup, for granulated sugar, what proportion can one use? In general, liquid sweeteners should be used in a 3/4s proportion to granulated sugar if substituting. That is, if a recipe calls for 1 cup of sugar, use 3/4 cup honey, or another liquid sweetener. If baking a cake or cookies, lower the baking temperature 25ºF and reduce the liquid in the recipe by 1/4 cup per cup of liquid sweetener you’re using. If substituting another liquid sweetener for corn syrup, use equal amounts. Why do some recipes for ice creams and sorbets have corn syrup in them? I very rarely use corn syrup in sorbets, and don’t use it in ice creams. Because it has more viscosity than sugar, some recipes call for corn syrup to keep the churned and frozen sorbets and ice creams smoother and creamier. In my recipes, this is infrequently done in sorbets that have a lot of water, such as lemon, lime, or grape sorbets, which tend to freeze very hard and get icy. If a recipe calls for corn syrup, it’s usually a minimum quantity. In those cases, another liquid sweetener can be used, or granulated sugar. If using sugar, increase the amount by 25%. What can be used if corn syrup isn’t available where I live? Glucose is what most professionals use and can be substituted 1 for 1. It can come from different sources, including corn or wheat. You can look for it online or visit a professional baking supply store in your area. Note that stores that specialize in Asian ingredients may have it, as it’s an ingredient used in Korean cooking. You can also make your own cane syrup from granulated sugar. This is really excellent, David. When I went back to SF this summer, I tried not to buy any candy made with HFCS or CS and I really had difficulty…of course a few of my favorites have it. Now that I’m away from it, I’m surprised how ignorant I was of what I was putting in my mouth. I definitely check labels now before purchasing – at least if I buy something with CS then I’m buying informed! I get why a recipe for caramels would have corn syrup. I don’t understand why HFCS is in salad dressing, whole wheat bread and other things I used to buy in the States. I didn’t realize it until I really started reading labels and then I was shocked. I read in some article the rise in HFCS has something to do with subsidies and profit margins. For every day salad dressing it’s olive oil, balsamic vinegar, salt, pepper. I can’t imagine going back to “French” or “Ranch” dressing. I’ve noticed since moving to Italy I’ve dropped weight easily. Back in L.A. I was doing the whole no carbs diets and would gain the weight right back. Here I eat pasta, drink more wine, eat baked goods sometimes (from a bakery) and yet the weight stays off. I don’t diet. I think it’s the combo of walking everywhere and less processed foods. I live near two excellent farmer’s markets and having been eating more vegetable and fruits since the move. Hey David – interesting topic, thanks. I’m glad you mentioned Golden Syrup – I now keep that in my pantry instead of corn syrup, and use it for pecan pie, buckwheat pancakes, and anything else that calls for the corn syrup. Plus, it’s much nicer to lick from your fingers! What a great post! From now on, every time I get an anonymous comment suggesting i’m going to make my readers die of diabetes complications, I will kindly stir them this way. Thank you, thank you, thank you. Moderation people!! What about maple syrup? And sometimes I see simple syrup used in some recipes. Could I use these instead of corn syrup? What a great, educational post to awaken to! I rarely use corn syrup, but the last bottle I bought was the Karo Lite, and I haven’t noticed any major differences! David, thanks for the best, most easily understood article on HFCS I have seen yet. Just one question: if a recipe calls for 3 tablespoons of HFCS and you use 4 tablespoons of sugar, isn’t that increasing the amount by 33% rather than 25%? I know I’m getting old, but I still sorta remember that stuff from some school somewhere. I was making brandy snaps once and didn’t want to use the corn syrup that the recipe called for, so I made a simple syrup and used that instead. The brandy snaps were tasty, but very brittle and impossible to roll up. In situations where something needs to be flexible, you’ll want to keep the corn syrup in. Clearly, Americans’ overconsumption of HFCS or corn syrup overall isn’t owed to the tablespoon you put in a batch of cookies, or the one bottle a year my cousin buys for the Thanksgiving pecan pies: it’s all those hidden uses in commercially processed and packaged foods and drinks. Thanks for the practical guide to uses of and replacements for corn syrup. Mary beat me to it David, the sugar substitution at the end of the post does indeed increase the volume in the recipe by 33%. To achieve solid kitchen nerd status, you would use 3 tablespoons plus 2-1/4 teaspoons granulated sugar in your example to increase the amount by 25%. But I suspect that an extra 3/4 teaspoon won’t ruin the recipe, and kitchen nerds also would cringe at dirtying up two extra measuring spoons. Thank you so much for the info, I have always wondered if there was something else I could use instead of corn syrup. In the States right now there is a television commercial (produced by the corn growers assoc. or something) telling us how high fructous corn syrup isn’t really bad for us and is just like sugar. We thought it was a joke or something, no its real. Of course, if you cook 90% of your food at home and keep ready-meals and processed food for emergencies, you are less likely to be exposed to it. I’m not sure that it’s available at all in the UK – certainly Coke, etc, does not contain it here. You can get agave nectar in health food shops, but mostly golden syrup works well – only thing is, I simply can’t stand either the smell or the taste of it! This was a really informative read, thanks David! I’ve never seen Karo syrup on the grocery shelf here in the UK (perhaps in a specialty food hall – think Selfridges). As an expat American, I sub golden syrup in my pecan pie and it suits me just fine! Dr. CaSo: Maple syrup falls into the same category of the other alternative sweeteners, such as honey and agave, in the way it performs when baked or boiled. D, this is one of the best pieces I’ve read explaining the existence and use of corn syrup. Thanks — it’s now printed and stuffed in a folder destined for my reference shelf. This was very informative. I used to wonder about substitutes for this ingredient – not for any health reasons but because I am living in an area of the world where this isn’t very easy to come by. In fact I still haven’t found any yet. I have been hard-pressed to find light corn syrup lately (both Karo and generics) without vanilla already added! Has this always been the case and they’ve just started touting it on the label, or what gives? Thank you for this post David. I’m always curious about the science behind baking. Do you know of any good baking/dessert cookbooks that also explain the reasoning behind different ingredients and how to make substitutions? Also, I think that HFCS is put into products like bread as a preservative and that’s partly why it is in so many foods. Great article David. And I am like most of your reader agree. The key is “moderation”. My issue with corn syrup is that is almost always made from genetically modified corn. I have seen organic corn syrup at Whole Foods. Organic foods are not supposed to be made from GM ingredients but the GMs are contaminating other crops. Is Golden Syrup the same as corn syrup? Can the two be used interchangeably? In his book, “Chocolates & Confections,” Peter Greweling says that corn syrup has “effectively no difference” to other syrups made from wheat or potato starch. They are all part of a class of sweeteners called glucose syrups, and are used in different regions of the world in relationship to their availability and cost. If I were concerned about corn syrup, this chemical equivalency might cause me to rethink eating any form of glucose syrup. I understand these ingredient issues are important to people’s health and it’s good the information is available for our use, however, we are getting as anxious about the minor players in our occasional indulgences as we have (or should be) about what’s in our water. I should be worried more about my common sense sometimes! 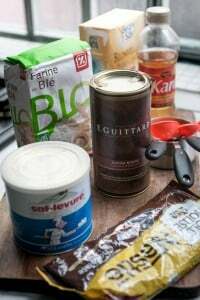 Here in Belgium I have never ever seen corn syrup and i always avoid recipes using them as i don’t get them here, and I have not seen glucose in any shops here too. The 2 small bottle of Glucose i have here at home is the one i bought from UK , when i was there and i use them sparingly. I guess i will use golden syrup instead. The issue with corn syrup is that companies can use more sweetener for less money. Because of that, they use more and American have acclimated to [and now prefer] sweeter foods. 1Tb of corn syrup is 60kcal. 1Tb of granulated sugar is 49. It’s not that big of a difference in kcal when you compare them volume for volume. Corn syrup gets worse of a rap than it deserves because obesity is linked to corn syrup due to its excessive use in commercially prepared foods. The thing that most people don’t realize before they point fingers at CS is that if you used granulated sugar to achieve the same level of sweetness, the kcals would be the same. So, as with any sweetener, too much = fat. The commercial saying that HFCS is the same as sugar is glossing over some facts, but it hits the right point — moderation. David, I’m allergic to corn and have to substitute in recipes calling for corn syrup. This is often tricky, because I’ve not found an invert sugar made from another source available commercially. I sometimes use Lyle’s golden syrup or honey, but they don’t perform the same way. Sometimes, I just leave the corn syrup out but there are applications where it’s really missed, and the finished texture or appearance suffers. I would appreciate if anyone knows of an invert sugar made from cane or another source available retail in the US. David, I’ve been reading your blog for a while and wanted to let you know that I love it. Today’s post reminded me that you are always judicious with advice and seem to have a level-headed perspective on food issues. I appreciate that so much. On another note, The Perfect Scoop is a beautiful book and as soon as it’s warm again, I’m running out to buy an ice cream maker. ps. I can’t imagine a Southern pecan pie recipe without corn syrup. I like your take on corn syrup. I feel that there contradictory studies out there. I think the problem is generally the amount one is eating although it’s a good idea to avoid processed foods. This was a really informative and interesting post. Thanks for taking the time to put this info together! Great informative post! Loved reading it! Hey Dave! Thank you for the great information. Unfortunately my consumption of corn syrup has gone up in the recent month. We are addicted to scoth a roos. Is there another way to make them. My recipe calls for one cup of sugar combined with one cup of corn syrup. I don’t know what you would replace it with. Let me know if you have any suggestions. The timing of this post was very serendipitous as I just finished posting a fleur de sel caramel recipe on my blog in honor of Obama. Corn syrup is a fact of life in candy making, but as with all delicious things, moderation is key. Got to keep working on that! Cheers! I’ve been wanting to stear clear of corn syrup for awhile now. Last year sometime I bought glucose instead for candymaking, but the label said it was made from corn, so is there benefit to using it vs corn syrup. Seems like its the same thing, non? Great post – I’ll be sure to share this info around with others when I get asked similar questions. The recipe that you link to for schoocheroos (spelling?) on the Rice Krispies website calls for corn syrup. I was out if it at time…since I had been making the candied peanuts from your cookbook about once a week! Thanks for all the great info, David. Amy> if you’re allergic to corn, you can use safely glucose syrup, which is usually made from wheat and have the same properties than corn syrup as david L said. It is available in most chef shops and you’ll probably be able to find some on the internet. Simply ask the retailer from what (wheat or cane) is made this particular syrup you’ve found, to be sure there’s no corn. In the US, Wholesome Foods makes an organic corn syrup that is GMO free. I wouldn’t include coffee in the same category. It’s been pretty hard to prove that coffee does any harm, and studies around the world (including at California’s Kaiser Permanente HMO) have shown that coffee reduces the chance of liver disease, particularly alcoholic liver disease. It is accepted enough to be a point at major conferences on liver disease. 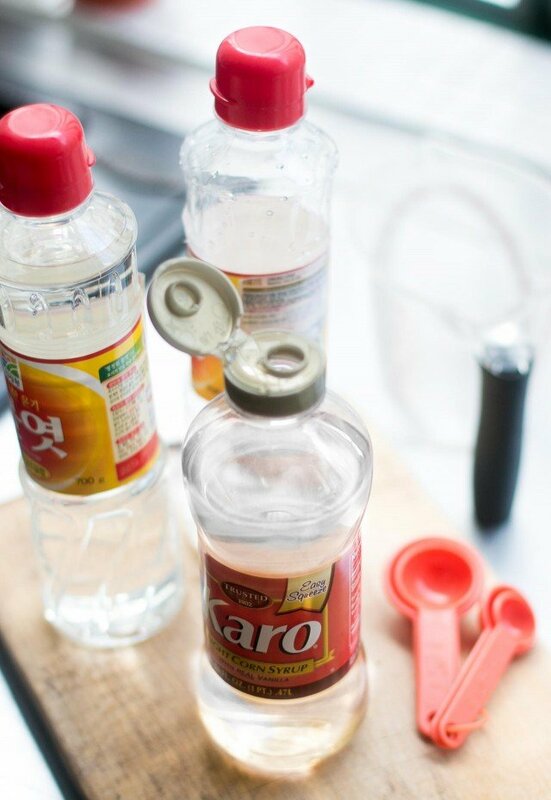 For those of you who don’t live in the US, and are looking for corn syrup for baking projects, Asian markets usually sell a Korean brand which I’ve used interchangably for Karo or glucose. In Paris, one can find it at Ace Mart or Tang Frères, and likely other Asian grocers. This is wonderful information. I was just recently wanting to experiment with my nut brittle recipe to reduce the amount of corn syrup. Now I know which direction I’m heading. Thanks! Ditto what everyone says, this post is very informative, I especially enjoyed the part about substitutions. I use corn syrup so rarely that I often wondered if I could use something else. One use I did find where corn syrup was essential: for my diabetic cat. Apparently it absorbs through the gums much faster in case of hypoglycemia. David, it makes me cackle that you have Korean corn syrup in Paris. Of all the things. P.S. I think I’m coming to Paris in March – shall I smuggle you in some kimchi? Excellent, informative post. I’ve just been reading What Einstein Told His Cook which has (among many other things) been enlightening me as to some of the science behind corn syrup and other sugars – this post supplements that knowledge no end, so thanks for that. Thanks for this wealth of knowledge. 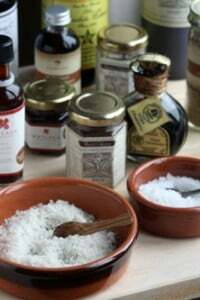 I enjoyed reading this and learning more about different sweeteners. I use corn syrup very sparingly; usually just in my homemade marshmallows. I just bought my very first bottle of Karo last year to use in a specific recipe for frosting. I agree, a little in moderation is okay, but I do my best to avoid recipes with corn syrup. Thanks for this post. I used Karo Light for your Peanut Butter Cookies with the Salted Caramel and they came out fantastic. The caramel was smooth and never lumpy. Now knowing what the purpose of it was, I can tell you that it works and is very very mild in flavor. I’d recommend it to HFCS anyday. Hi David, great post. We don’t eat any processed foods in my house which makes consumption of corn syrup negligible at best. I have used Karo Lite to make Elise’s (of Simply Recipes) pecan pie recipe which is not as sweet as most pecan recipes out there and it worked like a dream, and her version of pecan pie (with a wheat-free crust) was deemed to be the best pecan pie everyone who partook had tasted because it was much less sweet than other pecan pies people had previously had, so I’d give Karo Lite a thumbs up if you have to use corn syrup. This post just goes to prove, once again, that you truly are the Master. Rock on Monsieur Lebovitz! Rock on!! Thanks for the great info David. Years ago I would use3 parts sugar to 2 parts corn syrup when making buttercream but have since switched to glucose because I always buy a big tub and like to use it up. I found the results to be the same. A blog article that I just wrote has photos from a book I found on ebay titled “How famous Chefs Cook With Marshmallows” by the Campfire Marshmallow Company, from 1930. It was interesting to see all of these European chefs whipping up haute cuisine presentations with marshmallows. And once you overcome the very strong taste memory of every pecan pie you’ve ever eaten, golden syrup actually makes a great pecan pie. The flavor is more complex and doesn’t just scream ‘Sweet! With pecans!’ Lyle’s has a recipe on some of their containers. so if we’re replacing granulated sugar with 3/4 cup liquid sweetener, other liquid in the recipe is then reduced by 3/16 cup? hi David.. Thank you for your information, i wonder if i can substitute corn syrup with glucose syrup in marshmallow recipe? is it come with same result? Hi David (and others of course :-)). Maybe i missed related comments, but i would like to raise the issue of sorbet consistency and possible use of corn syrop or other inverted sugars. I made many sorbets including the great ones in your book David, but as many probably witness, i struggled hard later with consistency after first time in freezer. It bugged so much that i went on a life search to improve this point without making an ice cream “less healthy” and trying not to go crazy with the succrose .. Saying that, for the different fruits I’m trying combinations of sugars, glucose powder (btw is it like atomized glucose??) with inverted stuff (mainly honey but also corn syrop), with or without ager ager/galetin, with dashes of alchol and list goes on and on :-) I’ve yet to come up with a “magic formula”, altough the use of ager/honey/dash of alchol is a strong favorite lately. Did anyone try using Fructose in sorbets (or icecream?). I will be very glad to hear tips and thoughts on this issue.. Thanks !! Try your family favorite pecan pie recipe– but use cane syrup in place of dark Karo. Then IN ADDITION to the vanilla (pure, of course!) add a tablespoon of your favorite dark rum. Makes a pecan pie you will never, ever forget. Christina: I’d be interested in tasting a pecan pie with golden syrup, which I love. The one Melissa at Traveler’s Lunchbox (linked above) made sounded really, really good. Hannah& JB: Thanks. I was rounding it off for the sake of discussion, but since it wasn’t exact, I omitted the example and folks can simply following the guidelines when making the substitution. ajad: Yes, I do that all the time without problems. In fact glucose works a little better. Yoolie: I’m pretty set on kimchi as I just made a batch, but thanks! HIlda: Thanks for the confirmation the the ‘lite’ version works like the regular. Hi David, love your blog! There is nothing healthy about agave nectar. It’s like all natural supercharged high fructose corn syrup. It can contain up to 90% fructose–nothing natural to the human body about that! Fructose has to be metabolized by the liver, making it “low glycemic” yet still so dangerous with the rising incidence of fatty liver disease. A tablespoon of raw honey here and there in recipes, along with erythritol (a naturally occuring sugar alcohol with no unpleasant side effects) are my sweeteners of choice. Pure stevia extract (a non-bitter brand like NuNaturals) is great for sweetening tea and yogurt. Krysalia, David, or any one else who might know? I cannot find wheat based glucose syrup available in America, either mail order or retail. If anyone knows of a brand name or a manufacturer, I would greatly appreciate the information. I’m allergic to corn, and haven’t found a good substitute for corn syrup in many recipes. Wheat based glucose or another alternative invert sugar syrup would be a real help, thanks! I know I am late with my comment, but I just want to highlight a couple of things. 1 cup of sugar is the same as 3/4 cup honey, or another liquid sweetener. It doesn’t matter if you’re converting from honey to sugar, or the other way around, the numbers should come out the same. I’ll avoid wasting time on the details of the math, and get right to the point. If the recipe calls for sugar and you want to use corn syrup, decrease the amount by 1/4. BUT, if the recipe calls for corn syrup and you want to use sugar, increase by 1/3. Second, it is important to know that the FDA revealed last January that processes used to refine high fructose corn syrup often leave it contaminated with mercury. This is why we’re suddenly seeing so many silly corn syrup ads on TV. David is right that moderation is key. But, we have to understand that eating moderate amounts of high fructose corn syrup is NOT the same as eating equivalent amounts of other sweeteners, especially for young children. Hi LNC: Yes, high-fructose corn syrup was found to have detectable levels of mercury in it, and I added a link to a post about that when the finding were released. Mercury is also found in certain kinds of tuna and folks may want to avoid eating that if concerned with mercury consumption, too. Wow this is scary. I only bought Agave nectar because I can’t find corn syrup here. It sounds positively diabolical (just kidding) but I’d feel safer using corn syrup than this after reading that article in Natural News. I don’t believe in a lot of these ‘health foods’ and stay out of those stores unless it’s absolutely necessary, i.e. need to buy chickpea flour, buckwheat flour, etc. Thanks for this information, Sir! It is very informative. I was making caramel for my filling but I left it too long at the stove that after it cooled down, it hardened or caramelized like candy. So I had to redo it again & thought of putting corn syrup in. It was great although the caramel was overcooked, still delicious though. Take care & God bless!!!! Firstly, thanks for the great blog David. Living in Australia I’ve been on a mission trying to find corn syrup both at supermarkets and asian grocers to no avail. So knowing glucose syrup and golden syrup can substitute is fantastic. Amy, I noticed you asked for the company that makes glucose syrup, here in Aus it’s made by Queen http://www.queen.com.au I’m not sure whether they export but you should be able to find it online somewhere.. Good luck! What if corn syrup isn’t available where you live (like the UK apparently). Can you substitute with golden syrup or light treacle instead? Ann: It depends on the recipe. Candymaking, usually no. Other recipes, it depends. In the post I mention where and when the substitution can be made in certain recipes. I love your site David it’s great. “The environmental impact of growing all of this corn is simply astounding. Aside from industrial animal production, there is no food raised that is more destructive than industrial corn. Every year, this corn is sprayed with 162 million pounds of chemical pesticides. The production, packaging, and transport of these pesticides contribute 2.7 billion pounds of greenhouse gases to the environment every year. An estimated 17.8 billion pounds of synthetic fertilizers are used on our corn every year — more than any other crop — contributing an additional 35 billion pounds of greenhouse gas emissions. When you add harvesting, processing, and water pollution from agricultural runoff, you’ve got one big carbon footprint. It derives almost completely from animals, corn syrup and preservatives”. And Karo Light? Look at the ingredients and then tell me that is something you want to put in your gorgeous food. Sodium hexametaphosphate? Sucralose? Celluose gum? It seems to me that we have to take it off the list altogether. Thanks again David for your tasty, informative and generous site. Hi Urban Food Guy: Thanks for your thoughtful comments and I do agree with what you’ve said. The reason I did this post is for certain baking applications, using an invert sugar syrup is called for and necessary to the success of the recipe. For that reason, I wrote this post, to explain when and why it’s used. And to help people make the switch in certain recipes, when it isn’t necessary and can be swapped out with another liquid sweetener. I agree with you about the bad practices of some of the large food corporations. And I’m also upset with the lack of funds given to school lunch programs in the states, the lack of concern by shoppers about low-priced industrial beef and poultry, golf course pollution runoff (talk about bad carbon footprints! ), the proliferation of fast food restaurants, and the difficulty of finding locally-grown produce where I live. When I see the hype and hysteria surrounding the whole HFCS controversy, I do wish people would get as riled up about a teaspoon of Karo syrup in a recipe as they are about some of the other pressing issues facing our health. Since I don’t eat much pre-packaged foods, when I cook and eat, I know exactly what I’m eating. As you rightly mentioned, there’s a host of ingredients I either don’t want to eat. But for me, there are some things I eat in my diet that I perhaps shouldn’t—non-organic coffee and wine (which are loaded with pesticides, I’m told), two of the worst offenders. But I do try to balance it all out with what’s available where I live and for my readers. I have trouble boiling water…. So, when would I add the chocolate syrup to the caramel sauce? after the boil, when stirring in the Baking soda ? or from the start? or after baking? Thanks for this, i ve just received an ice cream maker and all the immediate recipes ask for corn syrup, but cant find this in the local supermarket, so will be using golden syrup instead. I now bring home corn syrup when I visit the US for things that just can’t do without it, but a note for anyone outside the US looking for glucose to substitute: David says here and in The Sweet Life In Paris that he finds his glucose at bakery supply stores, but in New Zealand (and maybe elsewhere too?) you can buy it at the chemist (US pharmacy). Hello, this article cleared up alot of things for lots of people including me so good job and thank you very much! I’m a little late, so hopefully someone sees this. . .
What exactly is Golden Syrup? What is it made from and how? Sadly, I have yet to find corn syrup in the store that doesn’t have high fructose corn syrup as the second ingredient (after just regular corn syrup). What has this world come to? Karo Lite does not have any high-fructose corn syrup in it. Dear David, thank you for the excelent introduction to this question. I think it’s not easy to find corn syrup at my place but we have here grape sugar or Dextrose monohydrate made by Remedia, Israel (I use it for my baby). This is white powder like icyng sugar. So as for Butterscotch-Pecan Cookie Cups – can I substitute syrup to grape sugar and in what proportion? Glucose syrup can be derived from corn as well as wheat (or cane, as someone mentioned above), so don’t assume that you are avoiding corn if you are using glucose. And unfortunately, the source isn’t usually identified – in Europe it’s more likely to be wheat, but in the US it’s probably corn. To the commenter who asked about vanilla – I think Karo has always contained vanilla (and salt) – they have probably started emphasizing it lately because it’s a natural flavor and that’s good for marketing. Our mothers and grandmothers have been using regular corn syrup for decades – I try to avoid HFCS, but as David’s post illustrates, regular corn syrup has some particular culinary uses and shouldn’t, IMO, be tarnished with the same brush as HFCS. hi! this was a great article! ive tried making pecan pie with golden syrup but somehow i just didnt like it at much as the time i used corn syrup. problem is: i live in germany so its not exactly easy to find any.. where do you buy yours? have you found it in paris?